News: Welcome to our forum! 1.) 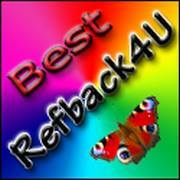 Sign up at BestRefback4U. If you are already signed up, you can skip step 1 and 2. 2.) Activate your account - Confirm email. 4.) Choose a PTC site you want to join from the list. Go to Refback Sites in menu. Those are all the sites we are offering refback for. Scroll down to browse the sites and choose the one you like. OR if you want to find some certain site, you can use the Searchbox on the top of the site (Find PTC / GPT Site you might know: ). 6.) Click on CLICK HERE TO JOIN. 7.) Sign up at the opened PTC site. Make sure your referrer is the right one! This is very important! Always double check if your Referrers username is same as the username specified in the text. Dont do anything else during registration (from clicking on our reflink till the sign up process is done)! Dont click any ads, dont browse sites etc. 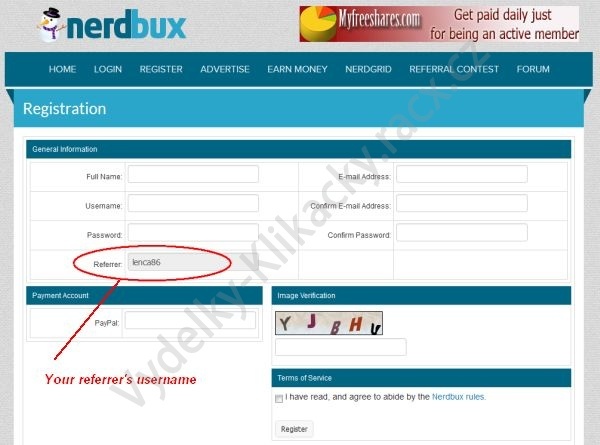 You referrer can change during registration if you click on ads or browse other sites! And if you have other referrer, you cant earn refback!!! You can also check the referrer in your cookies and if the referrer is different, then delete the cookies and THEN click on our reflink again (click on the CLICK HERE TO JOIN again). Then the referrer should be 100% correct. 8.) Activate your account at the PTC site. Click at least 1 ad. 9.) Fill in your username you have at the PTC site to the form at BestRefback4U. Click on the Participate button and confirm. This way you have done all the necessary steps to request refback. 10.) Wait till we approve/deny your request. You can click ads on the PTC site in the meantime, it will be counted to refback. If we approve your request then its all right and you can go to My Account -> Refback Joined -> Clicks and Earnings and watch your earnings from refback at this PTC site grow. We have to update the earnings manually so please be patient. If we deny your request, it means that your username you filled in to the form does not correspond with any referral's username we have in our downline at that PTC site. So we dont have you in our downline at all or you filled in wrong username. If you filled in wrong username, contact us, tell us the right username and we will review your request again. - Paidverts - click on ads of dollars value! Really high earnings! - WarOfClicks - ads reset every 5 min! Unlimited daily earnings! - you have to sign up to these sites via our reflink to get refback from these sites (and from the sites below)! You will find it in the list of Refback Sites (according to this guide). You can search for the certain PTC site via the Searchbox on top of our site too. The rest of the PTC sites from our list of Refback Sites ale relatively new, so we can not say if they are legit, or we have received a low number of payouts from them. They are in testing. They can pay and they might not pay. You can test them with us. Maybe we will have luck and we will find out a legit site. Those sites that we have received a payment from are definitely more legit than the fresh-new sites.